Program #SOLR001. Recorded in Seattle, WA on June 5, 2014. Dominant paradigms, dominant stories, the big picture through which our lives move. How much of it is constructed for us? Most of it. What are the prevailing paradigms and cultural narratives really made of? Words. Language. To coin a phrase, define the terms, frame the issue, to write the story that sticks in the public mind and is constantly repeated, is the business of branding. Powerful institutions work day and night suppressing and spinning stories to legitimize their existence. Their machinations create “official stories” and “public secrets.” Things that everybody knows but nobody says in public. 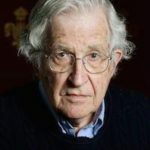 Although our personal stories are assembled and disassembled at the rate of speedy electronic devices, our collective stories move at the rate of tectonic plates. Competing narratives about fracking in Colorado and tar sands in Alberta play out in daily information wars, while substantive structural changes remain nearly indiscernible. 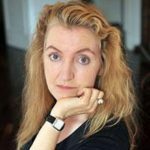 Rebecca Solnit is an award-winning essayist and environmental historian. She is the author of over a dozen books, including The Faraway Nearby, Savage Dreams and Men Explain Things to Me.